First U.S. Edition 2007, signed by authors, Paperback, 69 pages, many illustrations. This 69 page soft cover booklet belongs in every autograph collector’s library. Certainly, everyone who plans to buy a Jefferson letter should read it. I think people who have a general interest in things Jefferson will also want to read it. They wrote great letters in the age of enlightment. They wrote a great quainty of letters, and they wrote great letters. Thomas Jefferson is known to have written 20,000. He wrote as if he were having a conversion with his corresponant. He wrote in a beautiful hand, and that is where this book picks up. Thomas Jefferson was the first President to use a machine to duplicate his signature, and whole letters! This book nails down the use of the Watt wet press copy Machine and, later, the polygraph. Illustrations of both machines are including. The book has 7 chapters. 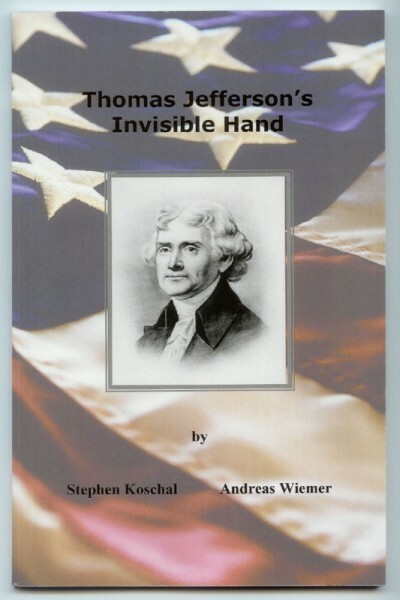 Here you will find a brief biography of Thomas Jefferson, a chapter on each machine, a useful interview with the Associate Curator of Monticello and Chapters on Jefferson’s handwriting with a whole chapter on telling real from fake autographs. I counted 12 illustrations in this section alone. Thanks to Michael Hecht (President of the UACC) for his book review. I'm a member of the Manuscript Society, UACC and Co-Author of the book.